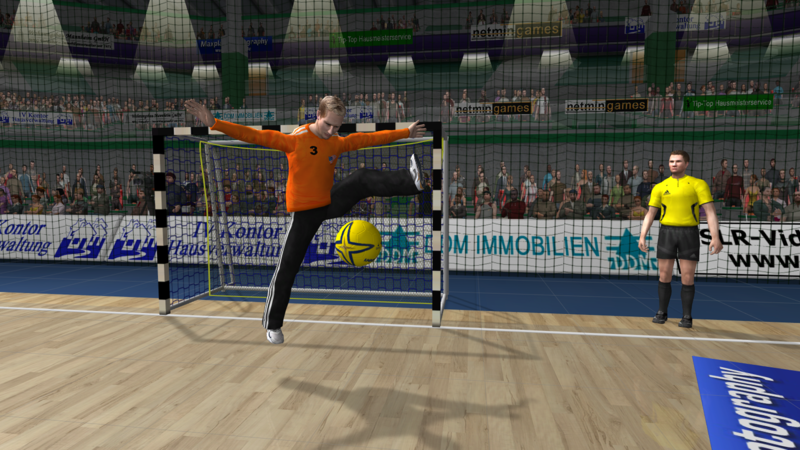 A realistic Handball Action game for PC. 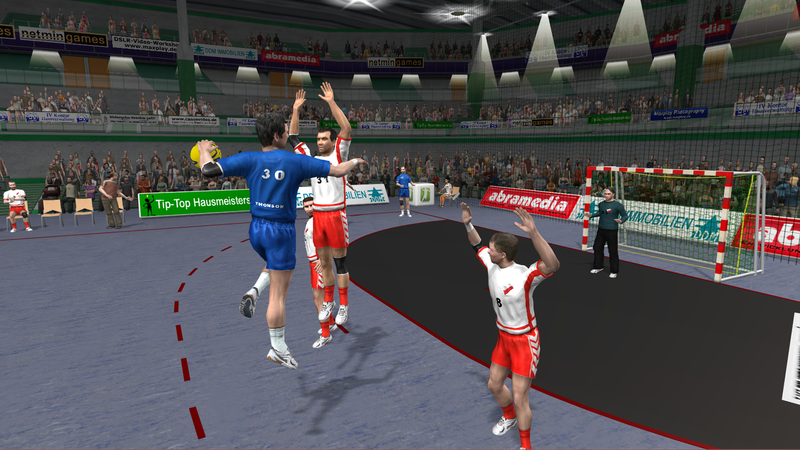 Experience 3D Handball with realistic game play. Choose between many national and international teams or create your own. 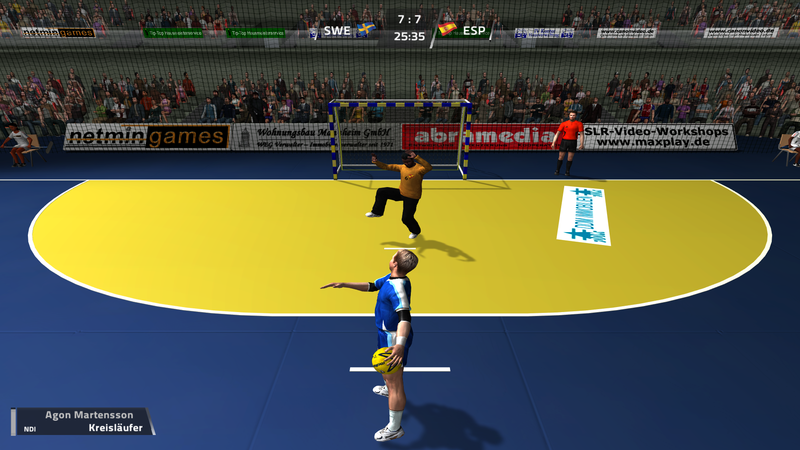 Take part in all of the world's most important tournaments or even make your own. 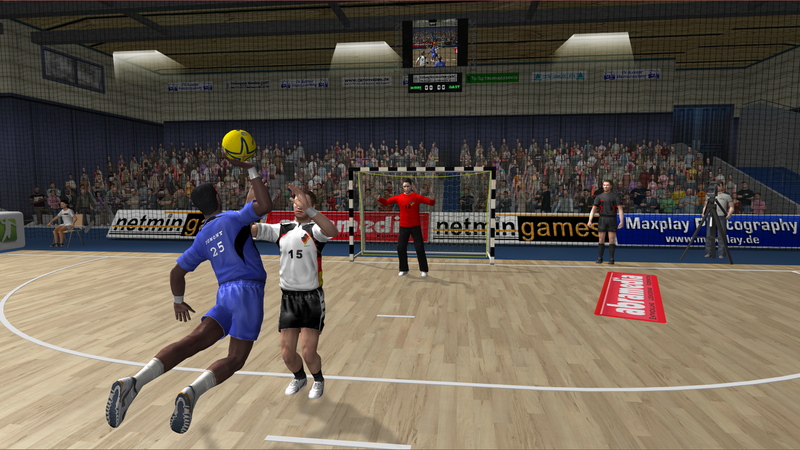 - Play for the championship with promotion and relegation and all the major Handball trophies. You can even make your team stronger by transferring players between clubs. 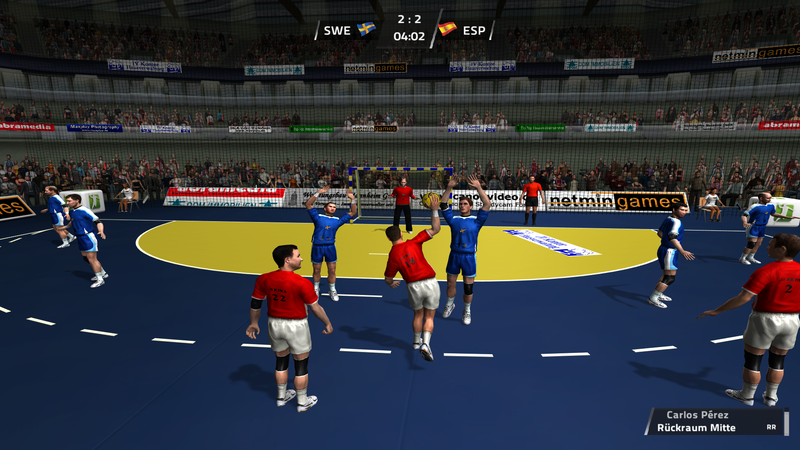 - Play many of the European leagues such as: Spain, Germany, Austria, Switzerland, France and Denmark. 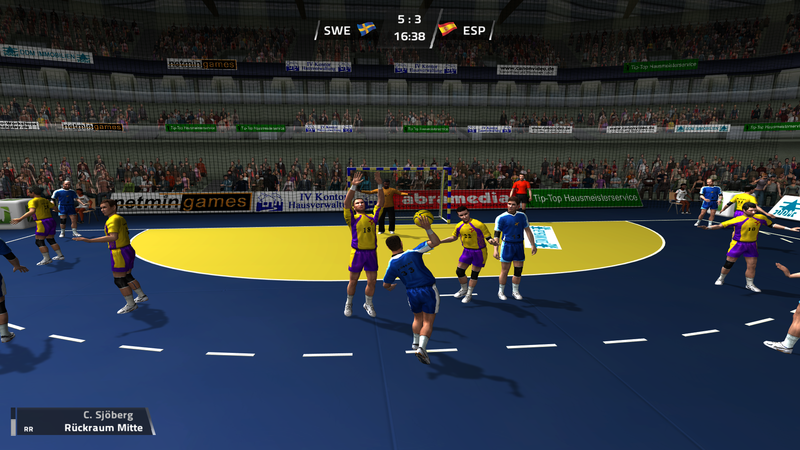 World, European and Olympic tournaments are also available. 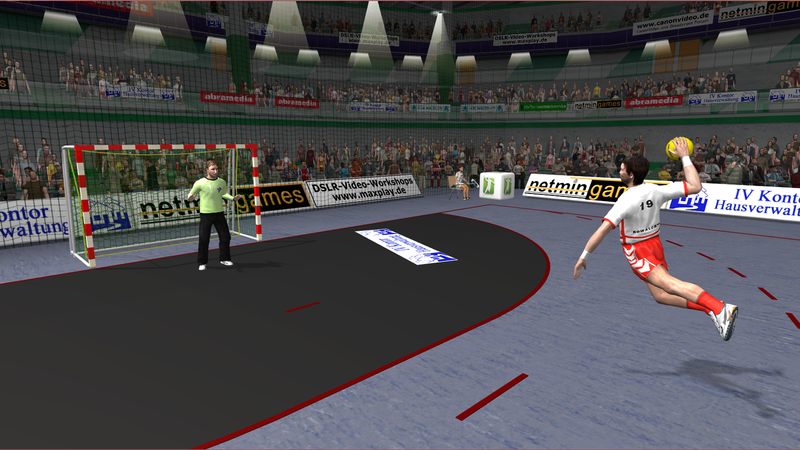 - Easy to use editor for players, teams, countries etc. or even make up your own team and import your club logos, jerseys and player photos. - Play in single player and multi player modes or via the Internet in the online mode. - A choice of many different stadiums and playing courts, Jury, Referees, interactive spectators and much more presented from 5 different cameras. 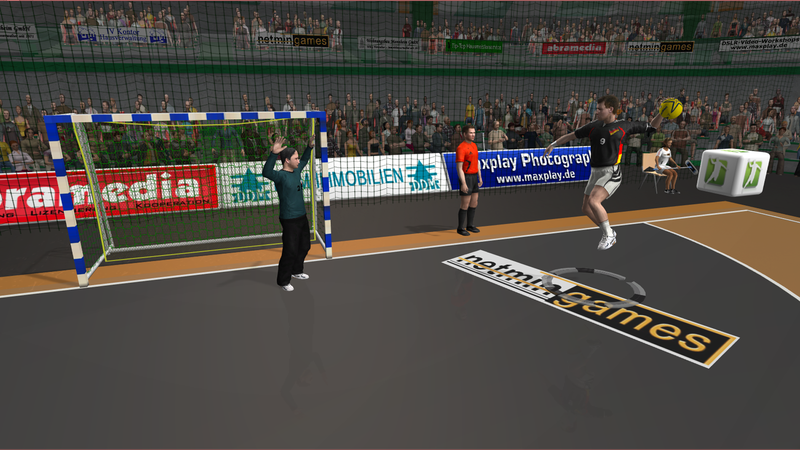 Background music, fan singing and typical Handball sounds. - 4 difficultly levels from beginner to superstar - playable with game pad or keyboard. - Many tactical possibilities such as player substitution, defence setups, playing combinations, defence and attack line-ups and much more. 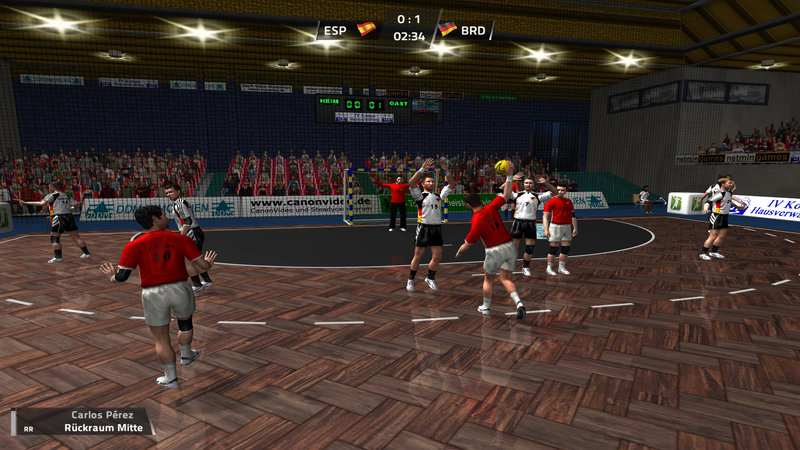 - Spin shots, lob shots, hard and bounce shots, Kempa trick... it's all in the game. 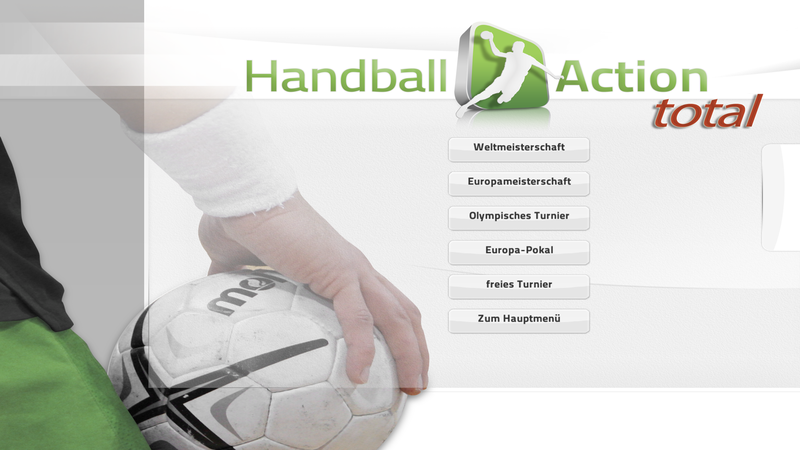 Buy Handball Action Total now! The legal basis of data protection can be found in the Federal Data Protection Act (BDSG), the Telemedia Act (TMG) and the General Data Protection Regulation (DSGVO). A contact may be initiated using an email address provided by you. In this case, the personal data provided in the email will be stored. This information will not be passed on to third parties. These data are only stored for the purposes of processing that communication. Any external websites to which links are provided from our websites may not apply the same principles with regard to information collection and processing outlined here. You will find information relating to the responsibility for the content of a website in the corresponding legal notice. We process this data to enable our site to function (connection set-up), to maintain our system security, to facilitate the technical administration of our network infrastructure, and to enhance our Internet services. No personal user profiles are generated. You have the right to be informed about the personal information that we hold on you and also the right to require the amendment of incorrect information, and the blocking of access to and deletion of your information. The trademarks shown on this website and possibly protected by third parties are subject to the provisions of the applicable trademark law and the ownership rights of the copyright owner. The mere mention of the brand is not lead to the conclusion that the author makes use of this brand and the rights. The trademarks mentioned here are only descriptive in nature. If, despite all care an infringement on these web pages is found, the fastest way to eliminate this is an e-mail with an alert to info@netmin.de. We pledge to eliminate any legal infringements found as quickly as possible and to refrain in the future. A legal- and cost reinforced warning would delay the elimination because of technical- and organizational reasons. They would therefore be consider to have been created for the sole purpose of earning money. Despite thorough control we assume no liability for the content of external links. The owners of the linked pages are solely responsible for their content.